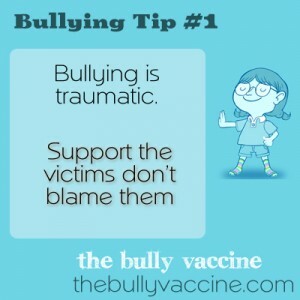 Bullying is traumatic. Support the victims. Don’t Blame them! Don’t downplay the problem or suggest the victim brought this on themselves. The problem is that the bully is a bully.